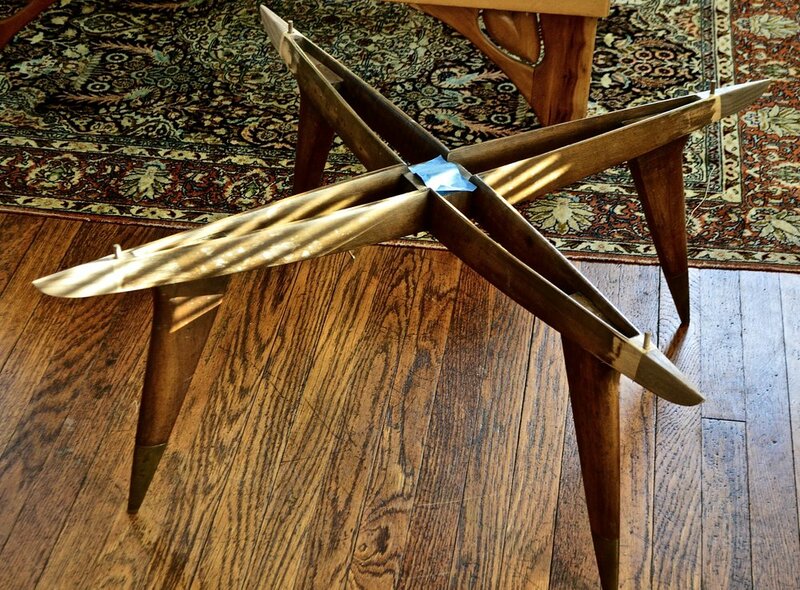 Someone screwed up- they cut the ends off of a valuable collector’s piece of furniture because…..? Some of his pieces were originally painted black, so that’s how this one will end up. The most interesting of 3 repairs, I’ll post details from the others shortly. On the cusp of teaching a class about what I do for the first time has made me reflect on what it is that I know and why I could possibly be qualified to teach it to anybody. I have often said to myself when I am reading a good writer (currently Ta-Nehisi Coates) - “man, I wish I could write like that”, but realizing , on some level, that this writer has been writing non stop for years, probably decades and through this unending practice has honed his (her) skill set. Well, thinking about it, that’s why I am qualified. I have been working in wood professionally for fifty years. I’ve made a lot of the mistakes and learned the hard way. The first 15 yrs., outdoors, I was working to 1/16” tolerances and that was beyond what was expected for most of the work that I was doing. Then I came ‘inside’ and work was pushed to 1/32”+/- installing doors and hardware and millwork. That’s 35 years looking at the tiny lines on a tape or rule. Now, I can tell you if something is plumb or square by looking at it. It’s just a lot of practice that makes that possible. I’ve been making furniture for 7 years full time. I’ve found some things that work, some that don’t. I can show you how I do things…. 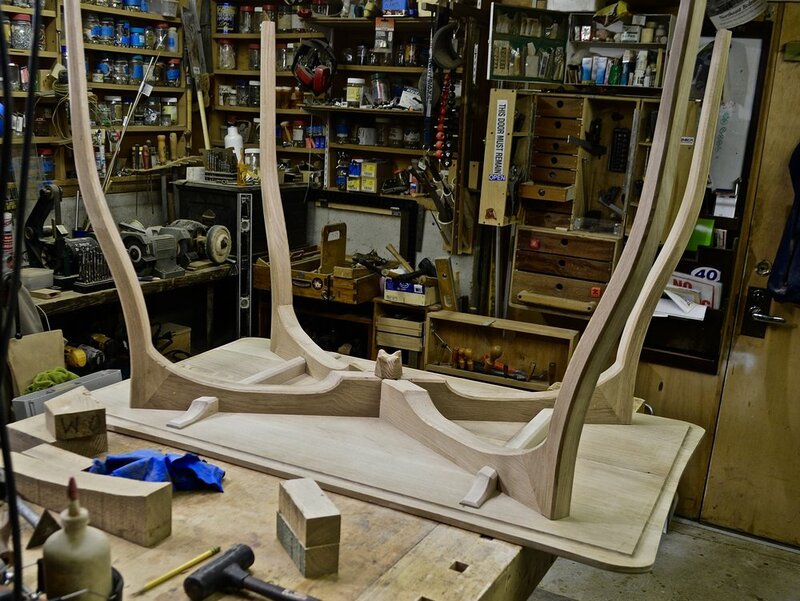 but the actual skill set to make furniture has to be honed through practice individually. Someone in a woodworking class that was visiting Wharton Esherick in his studio asked what single thing he could recommend to improve their woodworking skill. He looked around the room, pointed at the teacher, and said “get rid of him”. I’m a little ambivalent about what I can teach.